Hi Friends! Welcome back to the blog. 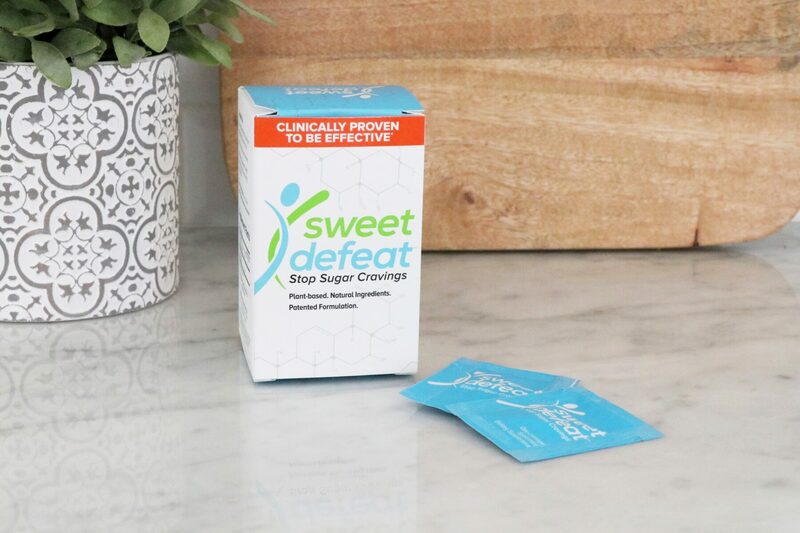 Today I’m going to share with you my experience with Sweet Defeat, a natural lozenge that helps stop sugar cravings in seconds. Sugar is addictive. The more sugar you eat, the more your body wants sugar! Sugar also provides the body with no nutritional benefits, it can suppress the immune system, interfere with good gut health, digestion, skin health and maintaining a healthy weight! Clearly sugar is… not so sweet. Sweet Defeat is made with natural plant-based ingredients, including zinc, mint and gymnema, a leafy vine that has been used for centuries by ancient cultures. Gymnema is known for its ability to temporarily block sweet receptors and stop sugar cravings. Sweet Defeat lozenges taste just like a mint, refreshing with a minty flavor. To give Sweet Defeat a try, I took a big bite of ice-cream and then took a lozenge. After I took the lozenge and a little time passed I tried another bite of ice-cream and was surprised that the ice-cream tasted cold and creamy, however it no longer had a delicious, sweet flavor. The ice-cream lost its appeal and I longer wanted to eat it! I shared my experience with Sweet Defeat in this video! While I don’t believe in dieting or deprivation, there are times when my sweet tooth can get a little out of hand. I can see these lozenges being helpful when I need to curb my cravings. You can learn more about Sweet Defeat here! Disclosure: This post is sponsored by Sweet Defeat. All opinions are my own.